Over spring break I was once again fortunate enough to travel down to El Salvador with a team of ten other University of Cincinnati Students in Serve Beyond Cincinnati, a UC service club. During the weekend we were free to explore all the sights and sounds of El Salvador, from exploring Mayan ruins, to zip lining down the side of a volcano. Every evening was filled with the wonderful sights and sounds of laughter and friendship emanating from the absolutely amazing beach house provided for us. One evening we even were able to have a bonfire out on the beach and cook s’mores. These, however, were just mere distractions to why we all came. During the week we were shuttled to our work site in San Louis Talpa, where we worked on the foundation of one home and poured concrete walls in another. The work was hard and hot but by no means unbearable, and every time you saw one of the kids in the community wandering over to talk with you, or just outside playing, you realized it was all worth it. Knowing that you could change the course of one family’s life, and give them a sturdy, safe, place to call home is one of the most rewarding experiences of my life. What an awesome thing for you guys to do! 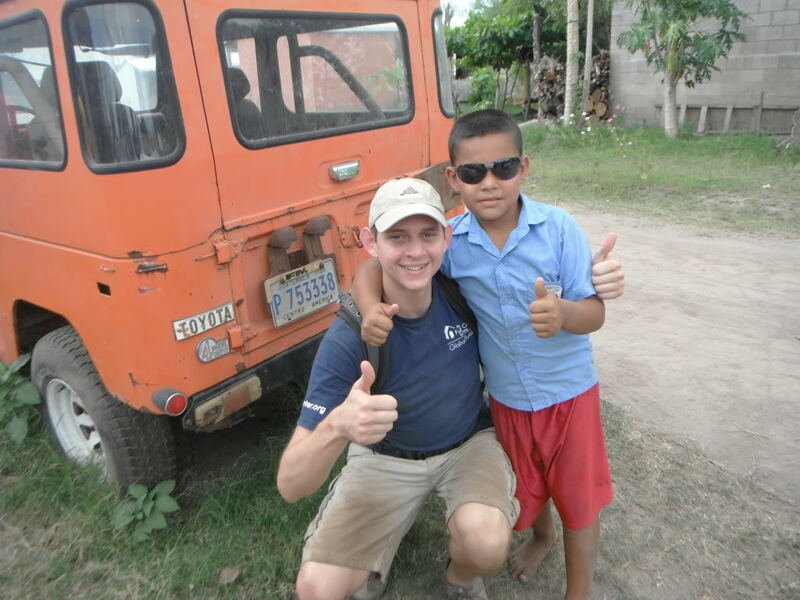 Not only did you get to supply for people in need, but you got an awesome experience with the people in el Salvador! What great pictures! They really show the love and dedication you all had for the work you did for these people! Kudos!